A beautiful lawn makes your home more pleasant, increases its curbside appeal, and can even increase its value. The maintenance and upkeep, however, don’t always fit into your already busy schedule. 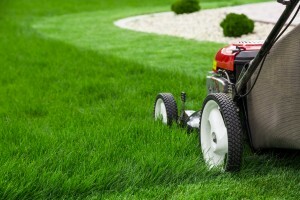 Finding a lawn care company to handle those details can free up your schedule and take a potentially stressful task off your plate, so read on for a list of things to look for when choosing a lawn care company. The most obvious place to start is deciding what you want. Are you looking for someone to just do basic mowing and fertilizing? Do you want someone to provide lawn-related pest control? Are aerating or tree maintenance on your radar? Do you have bigger landscaping projects in mind? Based on your lawn care needs, you can choose a lawn company in Flowery Branch that can meet those needs. A recommendation from someone you trust is a great way to discover a great lawn care company. If your friends or neighbors don’t seem to have ready recommendations, the Internet is another excellent resource full of reviews, recommendations, and additional information. You can always look up a company’s service record with the Better Business Bureau. Finding a top-rated company with a pristine reputation will help ensure your expectations are met and exceeded. Talk with your prospective lawn company to get quotes, estimates, and specifics about services offered. Have them come out and inspect your lawn since a quote given sight-unseen probably won’t be set in stone. Make sure you thoroughly understand the included services, timelines, payment schedules, and all associated fees. You can always bring up payment plans and discounts offered for annual or advanced payments. If it matters to you, you can always ask about the chemicals or fertilizers used in your lawn. You can and should discuss scheduling, treatment frequency, flexibility, licenses and insurance, inclement weather policies, and any other details you can think of to ensure smooth sailing down the road.